I've been eyeing on trendy draped pants as of late. I'm not sure if it would look good on a petite girl like me. I saw lots of ladies pulling the look off and they look extremely edgy and fashion-forward. I'm just captivated how this piece of cloth looks so comfy. A draped pant features relaxed tailoring that fits comfortably around the hips and ankles while draping loosely along the leg for maximum comfort. I'm hesitant to buy one because I'm afraid that it might cut off a few inches from my petite frame. I also don't want added weight on the lower half of my body. 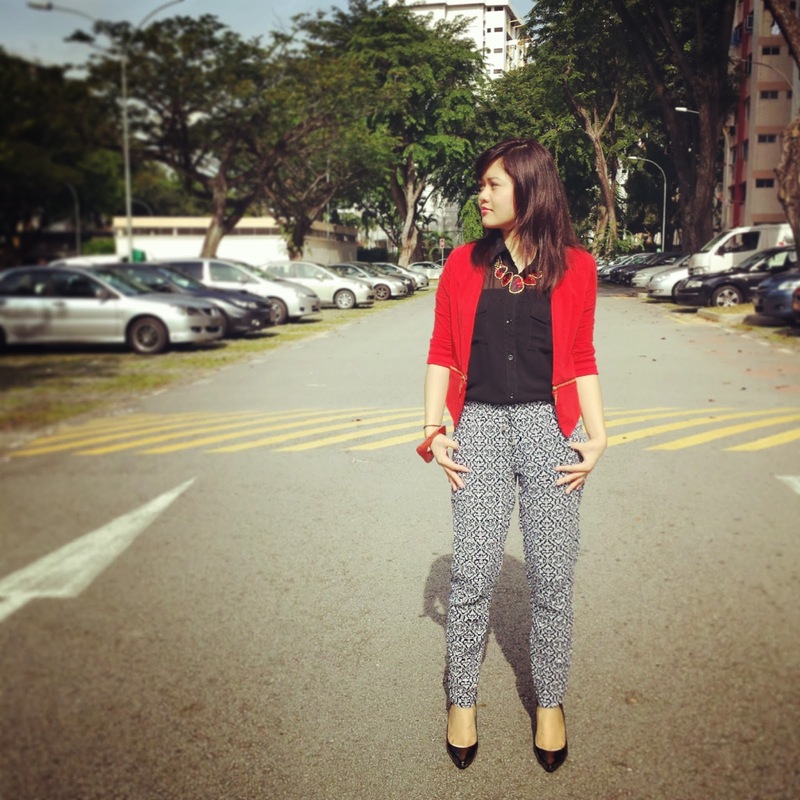 But with the right piece paired with the right accessories, drape pants could actually flatter your figure. In the end, it's worth taking the risk. 1. To pick the right drape pants for your figure, I would suggest you to keep trying different styles of drape pants at the store until you find the one that flatters your shape. Take pictures on different angles. If you're with someone, ask for their opinion. If you don't feel right wearing the pants, chances are they will never look right on you. 2. It's best worn with a fitted top, feminine blouse or a casual silk to balance out the ballooning nature of these pants. #Tip: If you have patterned draped pants, it's best to wear them with a plain top so that it won't look too overwhelming. 3. Draw the eye upwards with bold accessories, vibrant color, interesting details or graphic prints. 4. Wear them with high heels. In general, high heels can make your legs look longer. So wearing one can help balance out the tendency of these pants to make your legs look short. You still can wear flat shoes on them. Perhaps a pointed toe flats will do the trick. I wore it for Spring. You might want to check out my post : Turtleneck Sweater x Drape Pants. I also wore it at friends meetup. You might want to check out my post : The Goodnight.